ORI is proud to announce that the results are in from the 2016 Association TRENDS Financial and Operational Excellence (FOX) Survey! We have partnered with Association Trends for the past four years to conduct this annual survey of CEOs, CFOs, COOs, Executive Directors, and other association executives. Having added a few new questions this year, we have unearthed some very interesting findings. With 359 executives participating in the survey, we discovered trends and insights in areas including member engagement strategy, operational and strategic planning processes, and (last but certainly not least) the role data is playing in supporting key association objectives. Note: Data sourced from the 2016 Association Trends Financial & Operational Excellence Survey. Percent of respondents selecting each item as a Top 3 priority. 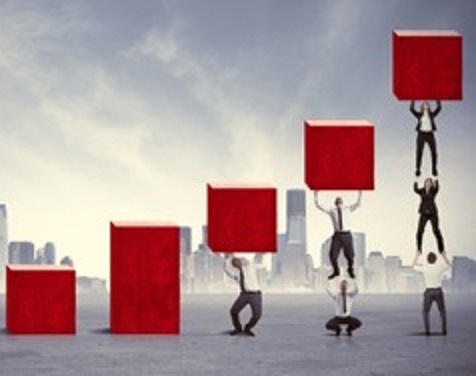 The survey is conducted every spring to measure which financial and operational strategies are of highest importance among executives from various trade associations, professional societies, and nonprofits. 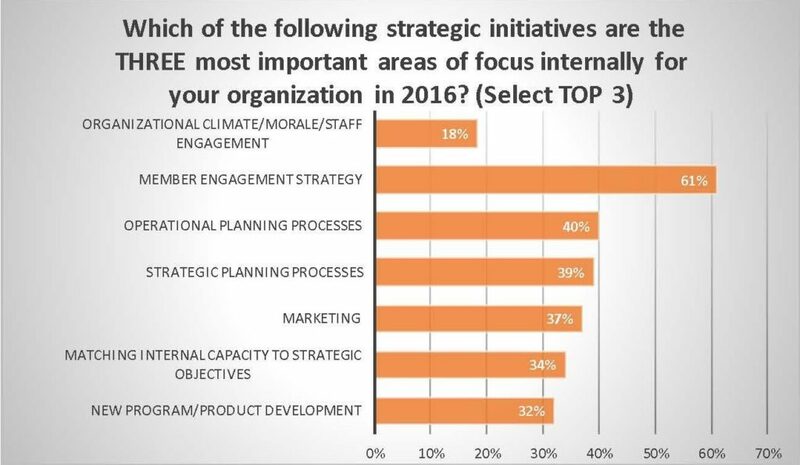 This year’s results were really quite fascinating: 61% of respondents ranked member engagement highest in their list of top three strategic priorities for this year. Consistent with last year, we noted a significant gap between the priority placed on member engagement (61%) versus organizational climate/morale/staff engagement (18%)—begging the question of how ambitious member engagement goals can be reached without equivalent focus on internal teams and resources. The leading operational priorities of respondents were member communications, matching internal capacity with strategic objectives, and technology infrastructure. This year’s survey also included new questions about member engagement. One question asked about the potential gap between the importance of member engagement in overall strategic priorities and the actual operational resources devoted to strengthening those customer relationships. Remarkably, two-fifths of respondents felt there was a significant gap between the two, with 47% of CEO respondents agreeing that a misalignment exists between strategy and operations. At the same time, survey results revealed that respondents were also extremely unlikely to change their membership models within the next three years, and nearly two-thirds of associations do not have (or do not know if they have) formal member engagement metrics. 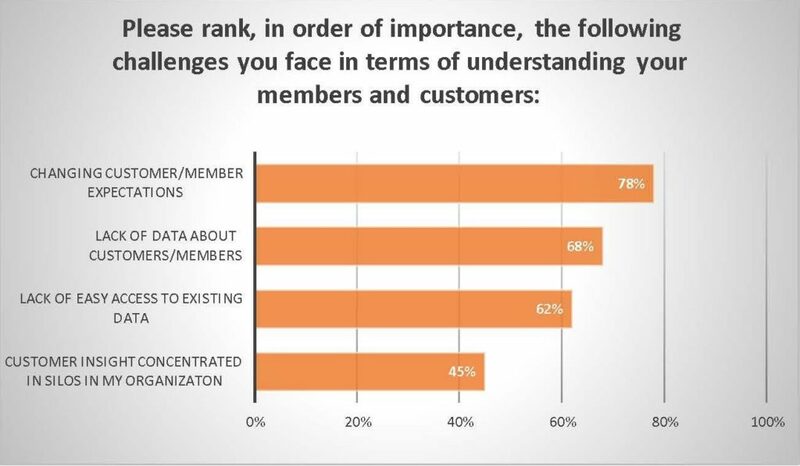 One last interesting insight: While 78% of respondents listed “changing customer/member expectations” as one of their top three challenges this year, more than 60% also have a “lack of data” and/or a “lack of easy access to existing data” as a correspondingly large challenge. From ORI’s perspective, it all starts and ends with the data. Keeping up with shifting customer expectations becomes much more feasible with a focus on data quality and data integrity protocols to ensure that member and customer information is truly an organizational asset, as well as a rigorous approach to translating data into usable insights.